It's all free and abundant, so dig in! 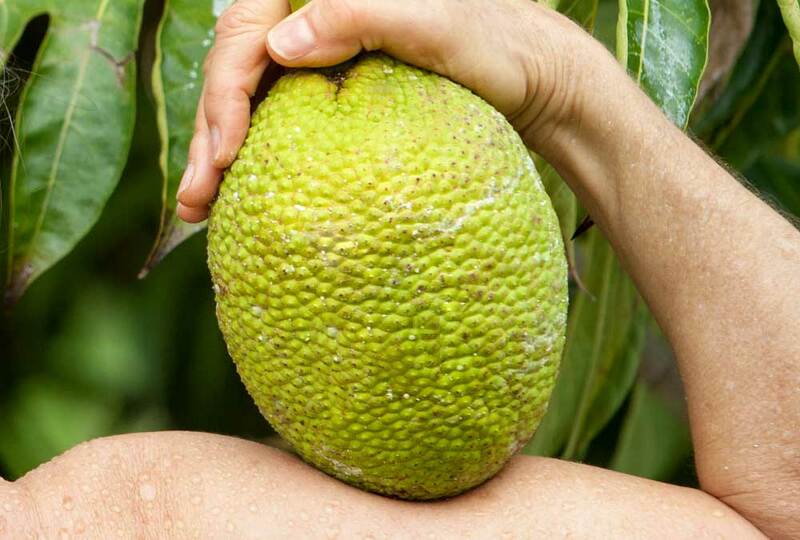 Ho'oulu ka 'Ulu is a project to revitalize 'ulu (breadfruit) as an attractive, delicious, nutritious, abundant, affordable, and culturally appropriate food which addresses Hawai'i's food security issues. 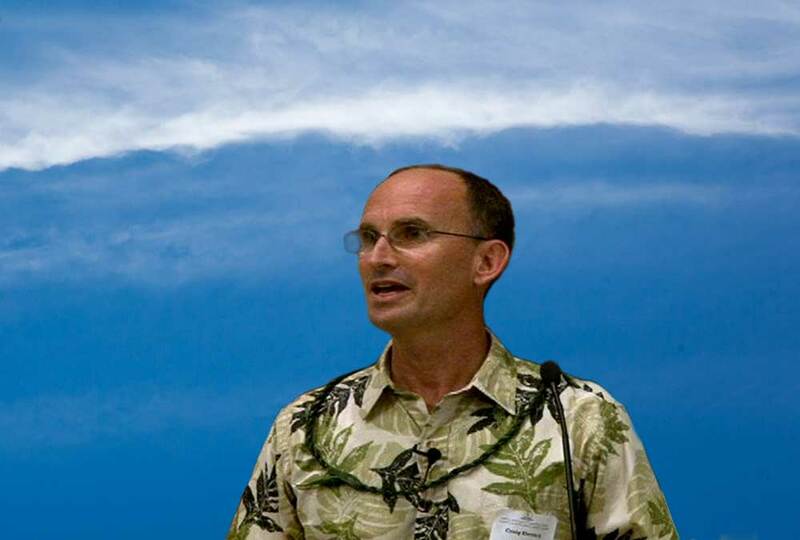 It is well known that Hawai'i imports about 90% of its food, making it one of the most food insecure states in the nation. Additionally, since the economic downturn of 2008, many families lack access to affordable and nutritious food. 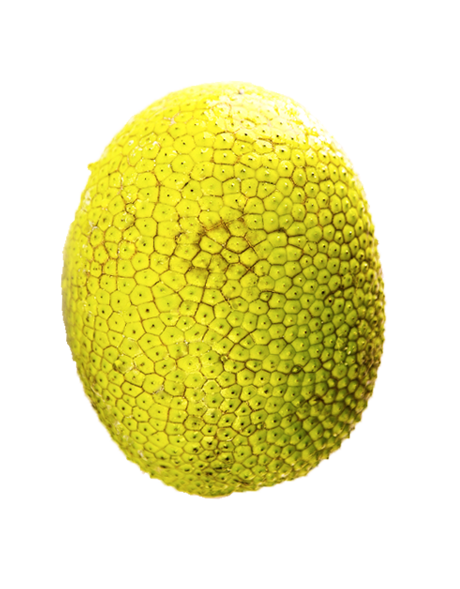 We believe that breadfruit is a key to solving Hawaii's food security problems. The trajectory that we are on was not developed in a year or a hundred years or a thousand years. It is project of long millennia of choices and intentions. Here is one of the challenges for civilized humankind: to learn (again!) from the animals and the plants, rather than use them like dead matter or animate machines for our needs and ends. They can be sources of inspiration for adaptive techniques and technologies; they are keepers of a kind of quiet wisdom we are only beginning to appreciate. The cow knows how to live on cellulose, the deer and the horse, too. They know how to live outside, in all weathers, needing only the barest essentials. They will still be here long after our fossil-fuel-driven civilization grinds slowly to a halt. Can I Grow a Complete Diet? Yes, you can grow and enjoy a complete diet! Choose a wide variety of crops for each nutritional group to fulfill your energy, growth, and micro-nutrient needs. Good nutrition is essential to human health, yet the complex details of human nutrition need not be fully understood in order to grow the foods you need to create a balanced diet. When we consume food our bodies derive energy and essential nutrients from carbohydrates, proteins, and fats. Carbohydrates provide energy through sugars and starches, proteins are necessary for growth and repair of the body, and fats provide a very concentrated source of energy. Additionally we benefit from vitamins, trace amounts of minerals, and an assortment of plant-derived molecules called antioxidants that help protect our bodies from disease and damage. The precise quantities required from each group are continually debated, however, as a general guideline the following numbers can help you to understand and plant for your nutritional need. Crop rotations can help reduce problems inherent to monocultures. 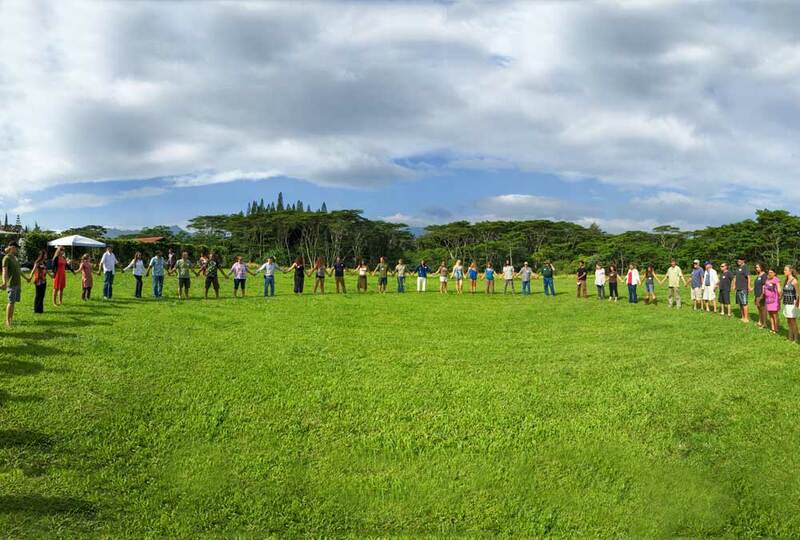 I’d like to make a bold statement that the majority of commercial farmers in Hawaii don’t practice crop rotation. By not rotating our crops, we create our own problems that can be the cause of own demise. Monoculture is the simplest form of farming because you only have to understand all aspects of one crop, so you can grow it well if you choose, but in the process, you create insurmountable problems for you, the farmer, and your crop. Pulelehua (Kamehameha butterfly). The author spotted this butterfly in her garden near some mamaki bushes, which started off her interest in this topic. There’s a beautiful trio playing in the woods. It's a native trio that has been here a long time. The players are the māmaki shrub (Pipturus albidus), the koa tree (Acacia koa), and the Kamehameha butterfly (Vanessa tameamea), or pulelehua. 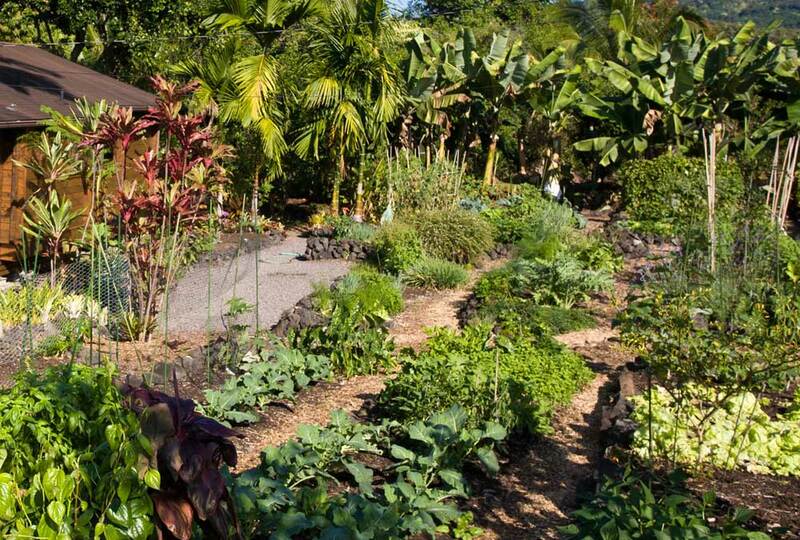 If you have the right conditions, you can invite them to your garden, especially to encourage the pulelehua, whose numbers are diminishing, to thrive on the islands again. For many local folks, chile pepper water is an indispensable addition to a great local feast, and can add pizazz to meat, fish, and soup dishes. There are many variations of this condiment combining water, shoyu, different kinds of vinegar, and even garlic with lots of chiles. In farming, the real test when you fall down is how fast you get up and move forward. Below is a letter I wrote to a Hawaiian homesteader several years ago. He was interested in farming, but for some reason he had a difficult time understanding what he needed to do in order to create a farm business, and also wasn’t realistic about his goals. He was looking for solutions such as setting up a farm to teach others how to farm without having a basic knowledge of farming, or networking with others to get his farm started when he didn’t have any production.